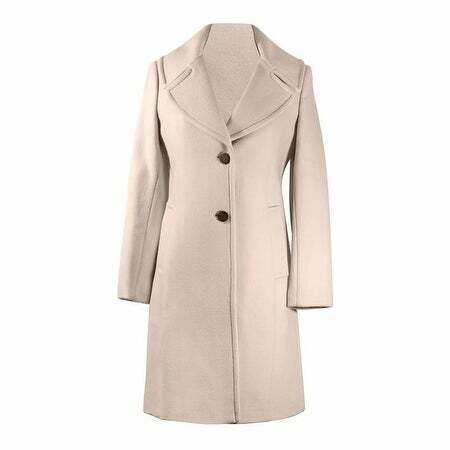 Diane von Furstenberg Women's Pearl Gray Wool A-line Coat. Two pockets. A-line. Single breasted. Two buttons. Slit in the back. 75% wool, 25% nylon. Dry Clean.